Its a terrific time of year to watch Great Northern divers along the shores of Loch Sunart! 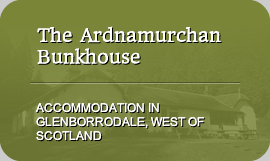 Wild Highland Tours is the only wildlife company based on the Ardnamurchan peninsula. Ardnamurchan, the most westerly point on the British mainland surrounded by ocean and bordered by the Hebrides. The scenery is wild and spectacular – open hills, rocky cliffs and ancient forests are home to an abundance of wildlife and one of Britain’s last volcanoes. Wild Highland Tour guides are experienced and can take you off the beaten track where you can see the remnants of our turbulent past and encounter a host of wildlife including Golden and Sea Eagles, Otters, Red, Fallow and Roe deer, Pine Martens and many more. Wild Highland Tour guides local knowledge allows us to take the best routes and show you secret haunts. You will be able to enjoy our natural heritage at a pace to suit all ages, abilities and interests. Let Wild Highland Tours take you on a journey where the past meets the present and the Highlands are alive. The team at Wild Highland Tours has over 70 years combined experience of practical wildlife management and takes you up close and personal with some of Scotland’s rare wild animals. We specialise in deer, eagle and wildcat encounters. As well as offering our Daytime and Twilight tours, we offer Night Time and Photographic tours and also offer tailor made all inclusive holidays.